A quick day in the shop today, split between parts storage and actual rudder work. I’ve read a lot recently about pulling the vinyl off of the skins to avoid corrosion under the vinyl, and since I decided not to polish, I am much less worried about small scratches and scuffs. 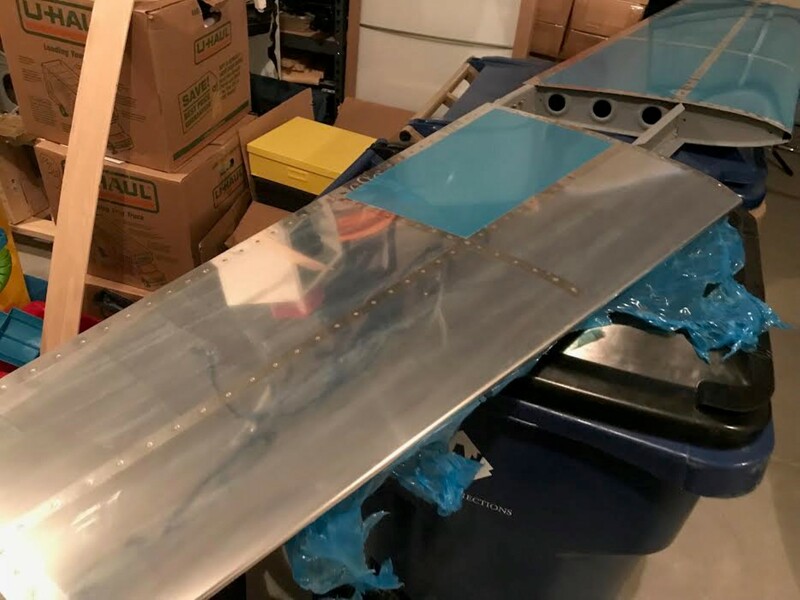 To that end, I pulled the vinyl off of the horizontal stabilizer and elevators in preparation for trophy mounting. 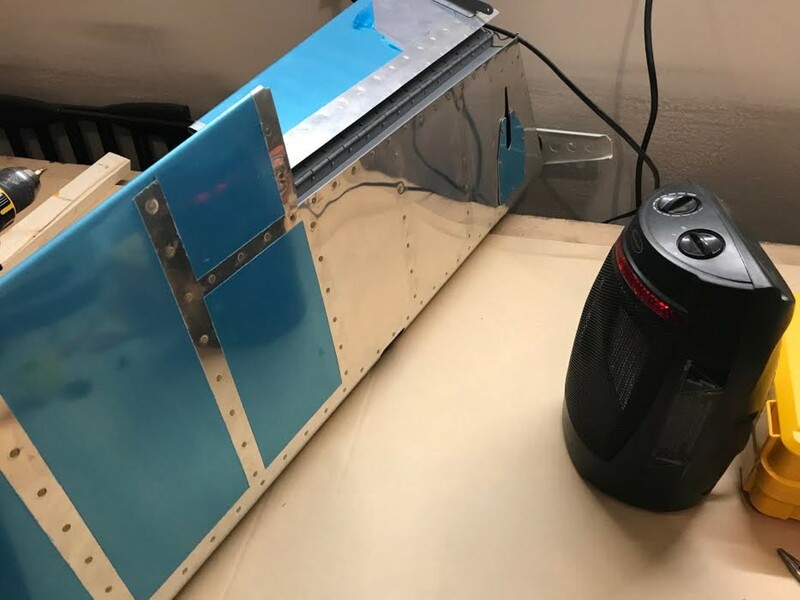 The portable heater instantly made the vinyl peel off easier. Finally (and without many pictures), I finished the rudder skeleton liberation. The old damaged skin is now sitting in my new skin storage on the wing cradle. Perhaps for future scrap. Not sure why the pictures are in this order, but I quickly mounted the elevators to the horizontal, and mounted the assembly on the far wall of the garage. 1.5 hours of work. 1.0 in Miscellanous, and .5 in rudder. This entry was posted on Monday, February 12th, 2018 at 11:31 pm and is filed under Wings. You can follow any responses to this entry through the RSS 2.0 feed. You can leave a response, or trackback from your own site.